I am participating in the Alphabet Soup Challenge. You can read my other two entries here and here. The goal of the challenge is to post every day using a different letter of the alphabet to inspire a blogpost of your choosing. You may use any letter as long as you use every letter by the end of the challenge. Today I’m choosing C.
It is a very special day in Canada (which also starts with C I just realized). It’s our 150th birthday and the entire country (C) is celebrating. From coast to coast (also C words) parties, concerts (C) parades and all forms of celebration are taking place. Prince Charles and Camilla (there’s the letter C twice!) are visiting our capital (C!) city (C!) Ottawa, to join in the fun. To be honest, they don’t seem to be fun people but they’re here. I’m a very proud Canadian and my dream was to visit Ottawa this weekend for the big bash but after seeing the crowds (C) security lineups and restrictions I’m happy I’m not there. I’ll watch from the safety of my own home. Canada got a new flag to commemorate (C) the occasion. 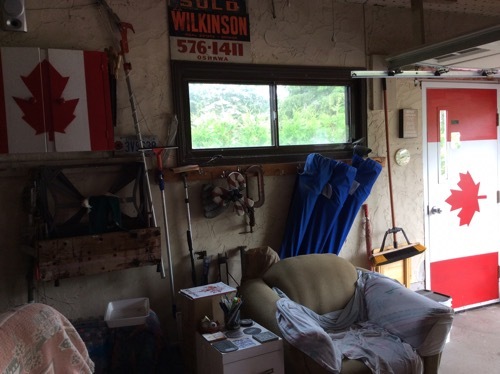 One flies proudly where we have hung the Canadian flag for many years on our front lawn. This year many people are flying a flag. 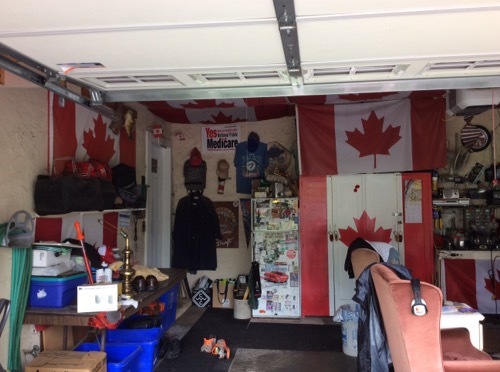 My husband has decorated his man cave in Canadian flags. Wish you all the best for Canada Birthday celebration. Thank you Indira. I had company for dinner. Next Post Alphabet Soup Challenge- FUN!